Purple-blue chromoprotein amilCP (BBa_K592009) with B0034 RBS. One can add any promoter upstream of this gene. This chromoprotein from the coral Acropora millepora, amilCP, naturally exhibits strong color when expressed. 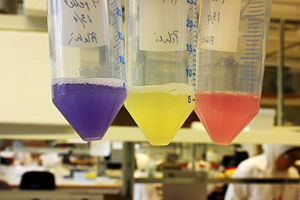 The protein has an absorbance maximum at 588 nm giving it a purple/blue color visible to the naked eye, thereby requiring no instruments to observe. 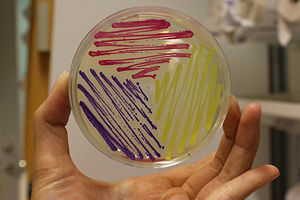 The strong color is readily observed in both LB or agar culture, in less than 24 hours of incubation. 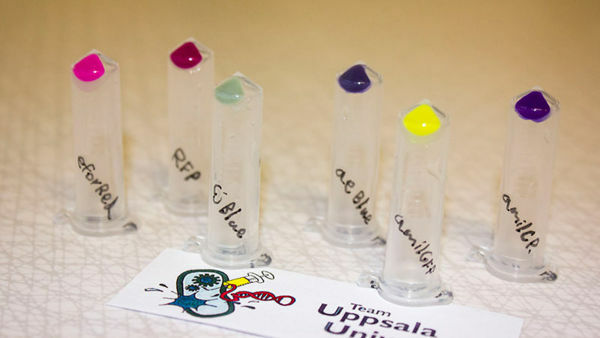 iGEM11_Uppsala-Sweden: Expression of chromoproteins. The images above show E coli constitutively expressing amilCP BBa_K592009 (blue), amilGFP BBa_K592010 (yellow) and RFP BBa_E1010 (red). iGEM16_CLSB-UK:The consensus promoter Part:BBa_J23119 was assembled with this reporter protein. The construct Part:BBa_K2078002 was carried on the pSB1C3 plasmid for expression and amplification in E-Coli. 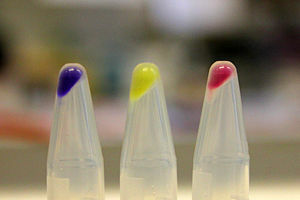 Expression of the part in Synechocystis 6803 was attempted but no colour could be seen after successful transformation. We haven't done enough tests to confirm if this was due to lack of expression (unlikely given the promoter was a strong, constitutive promoter) or because natural pigments mask its colour. iGEM16_Glasgow: This BioBrick part was ligated to P25, a native Streptococcus thermophilus promoter and transformed into S. thermophilus using the shuttle vector pMG36ET. 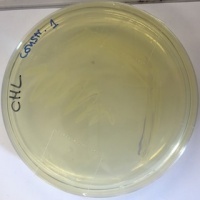 The expected blue colour was visible in E. coli when using the same BioBrick construct, though slightly less vibrant due to the low copy number of the plasmid. 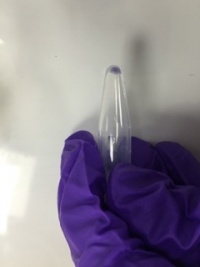 However, in S. thermophilus, no blue colour was observed with transformant colonies. This suggests that amilCP is not suitable as a reporter for this organism.